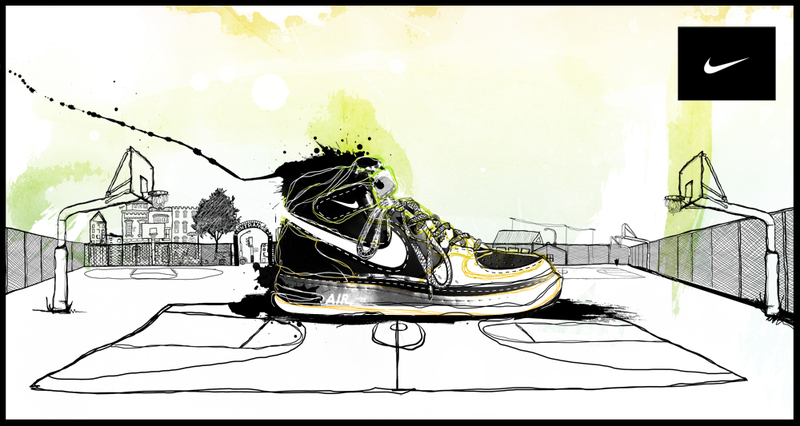 I have been working on this illustration for the past 2 days of the classic Air Force One shoe by Nike. I went back on this illustration and came up with the final version. 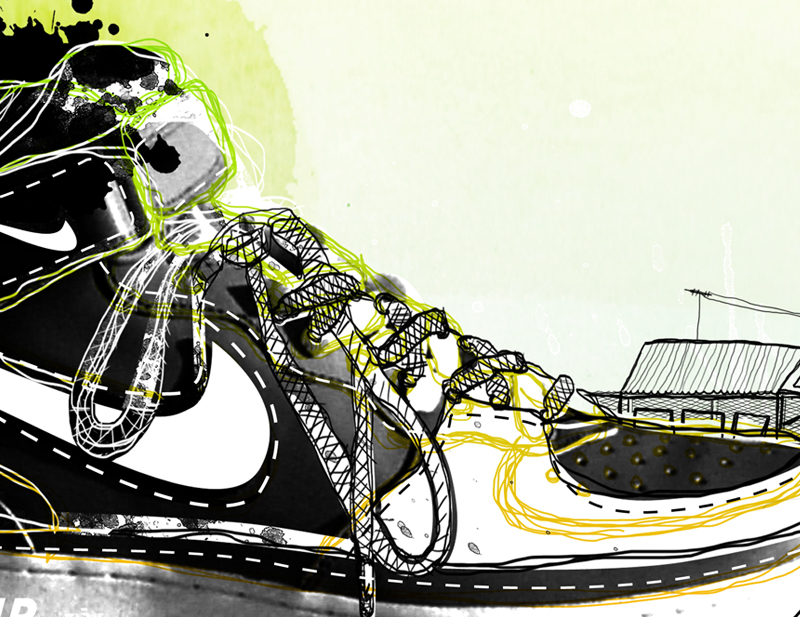 I used a graphics tablet to draw the lines on the shoe and the surrounding area. The paint splatters and background where all made on paper using water colours and aryclic paints. 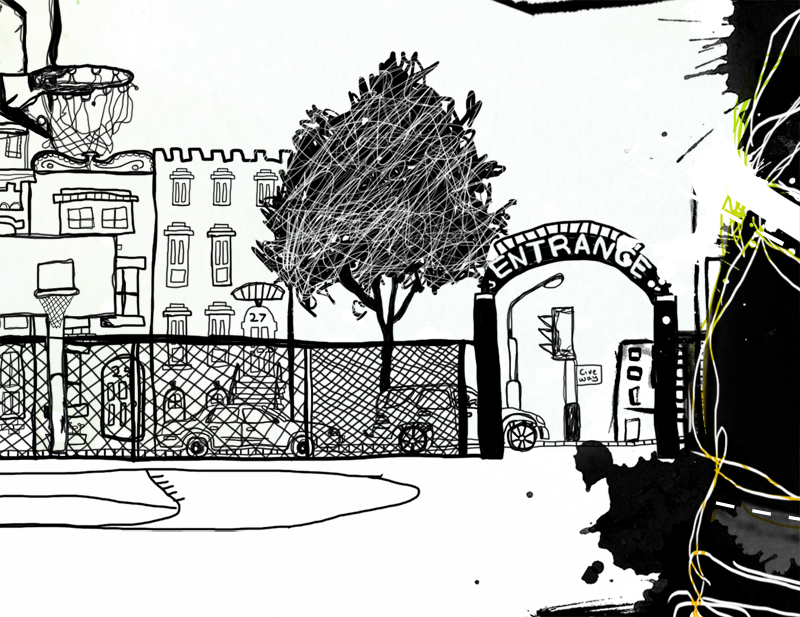 The main thing I like is the way the court-side drawing adds depth to the image giving it another perspective.